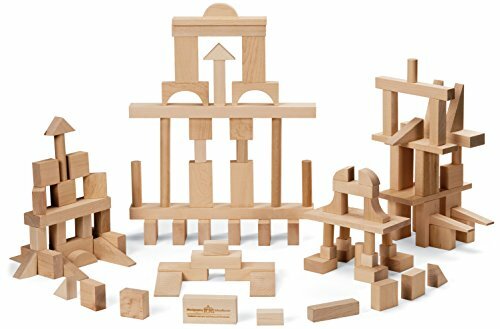 No child should be without a set of blocks. Maple building blocks in all the standard shapes you expect to see. Master Builder has 104 pieces with 21 different shapes. Hours of fun and creativity.